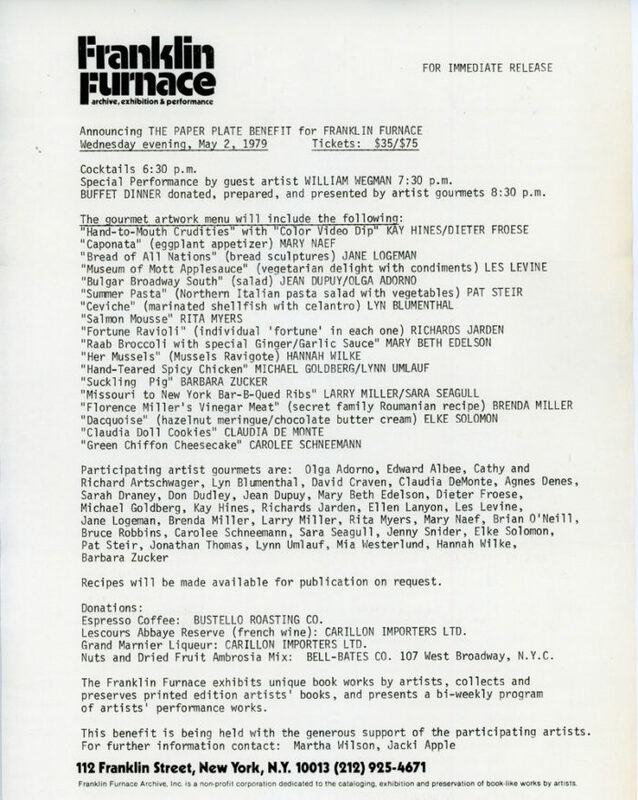 Folded card and press release for the Paper Plate Benefit for Franklin Furnace, 1979. 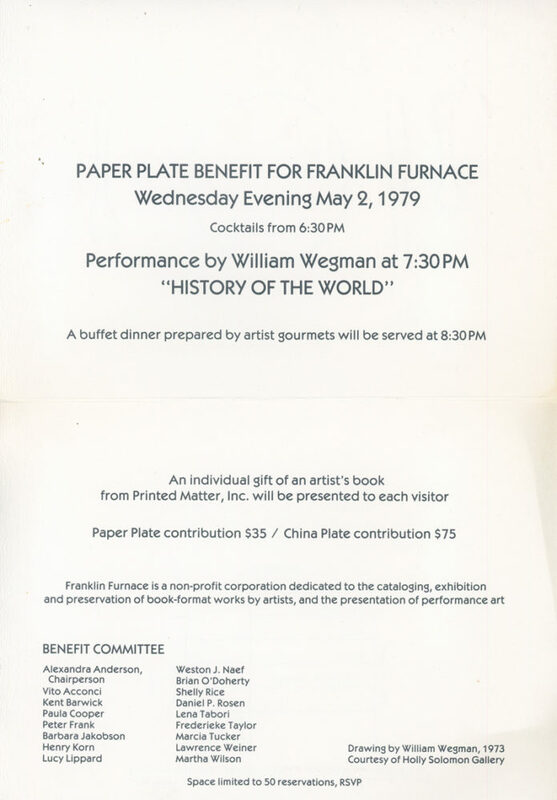 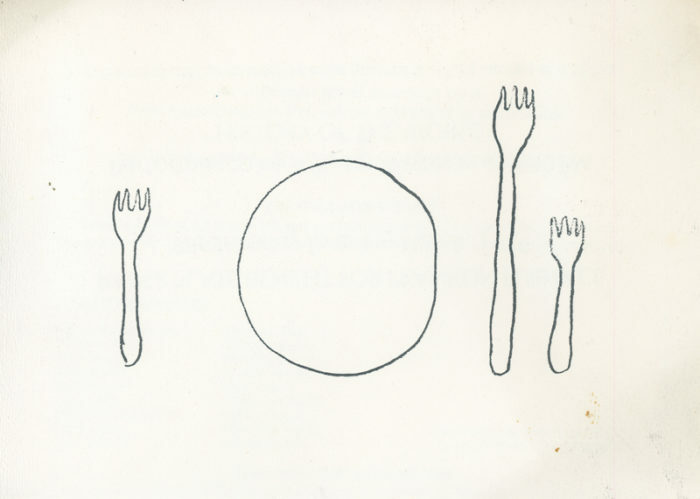 Evening included a performance by William Wegman, History of the World. 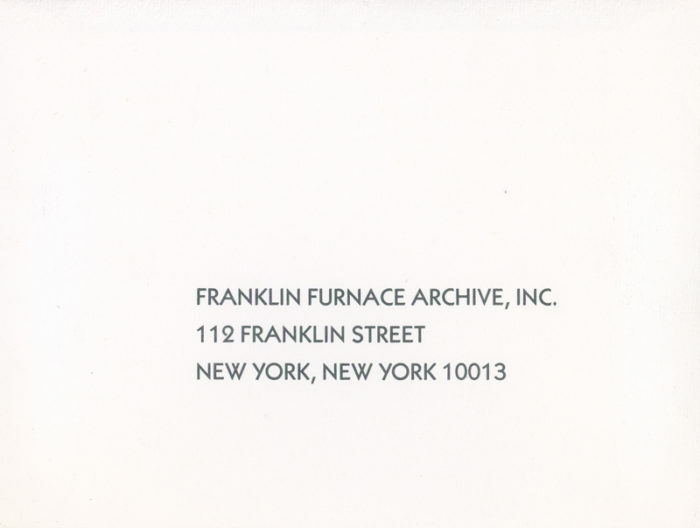 Folded card invitation includes a return envelope.